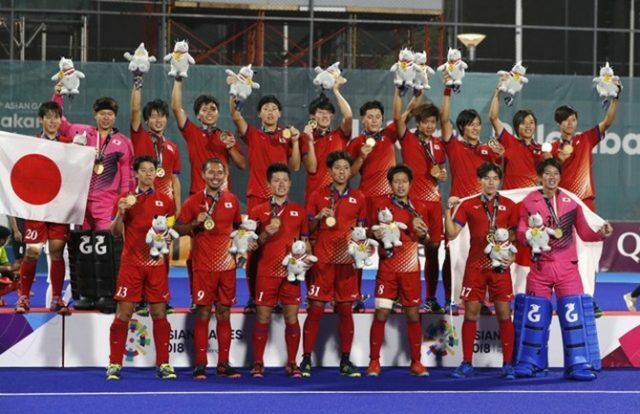 Japan staged a spectacular regulation time comeback to draw 6-6 before edging out Malaysia 3-1 in a penalty shootout and claim the men’s hockey gold at the Asian Games 2018 on Saturday. Trailing 4-1 in the second period and then 5-2 in the fourth, Japan pumped in three goals through Kentaro Fukuda, Kenta Tanaka and Koji Yamasaki in a seven-minute blitz to level the pulsating contest. Tengku Ahmad Tajuddin completed his hat-trick in the 59th minute to put Malaysia ahead again, rekindling their hopes of an Asian gold which secures a place at the 2020 Tokyo Olympics. But Hiromasa Ochiai levelled when he scored from a penalty corner with 13 seconds left to force the shootout won by Japan who already have a place at the Tokyo Games as hosts.